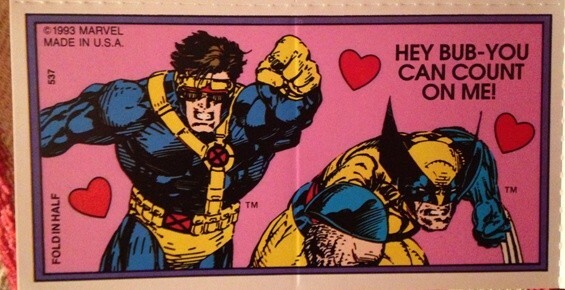 This one is for the 90s kids. 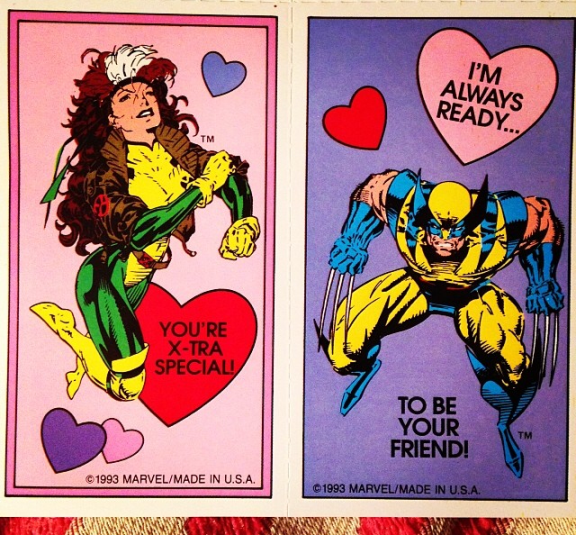 Remember back in the day when in Elementary school, the kids used to send Valentine’s Day greetings in class. 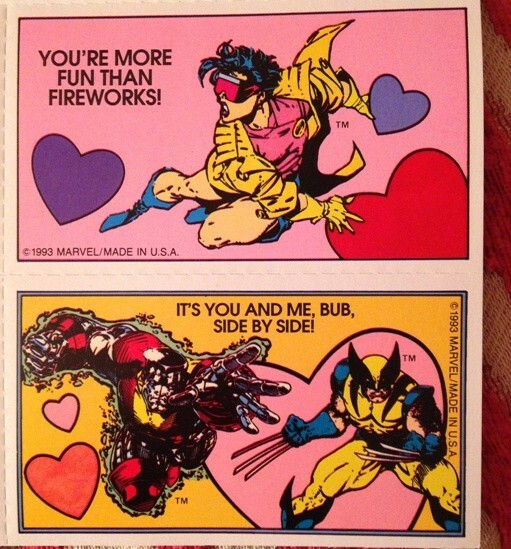 It was all about the coolness of your Valentine’s cards, which would feature the latest cartoons, and comics characters. 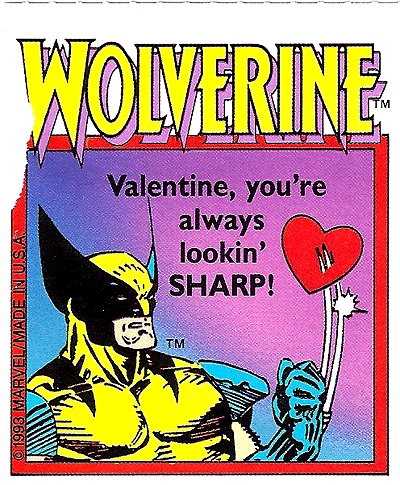 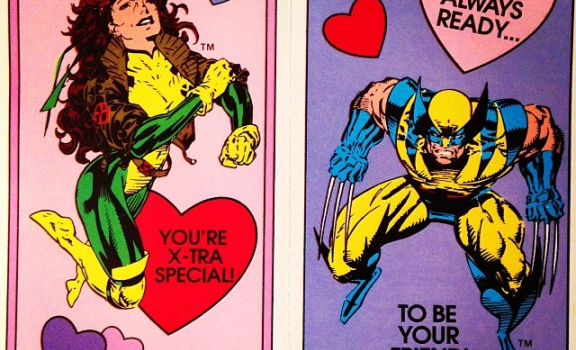 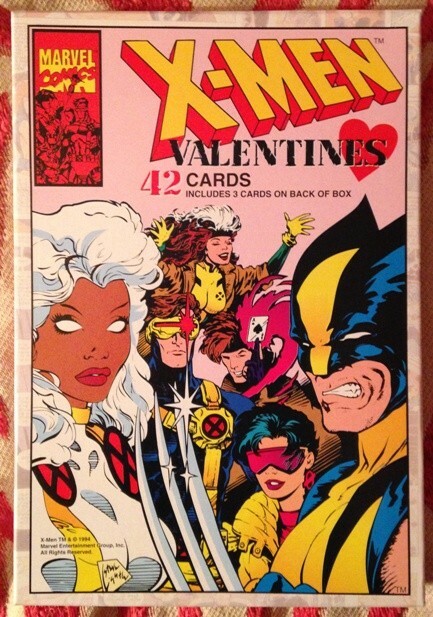 This pack of X-Men Valentine’s Day cards dated in 1993, are pretty awesome featuring your favorite mutants Wolverine, Storm, Magneto, Rogue, Gambit, Beast even Jubilee. 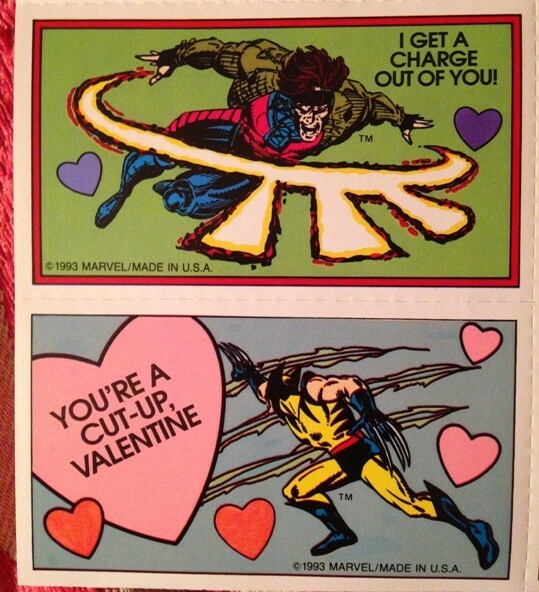 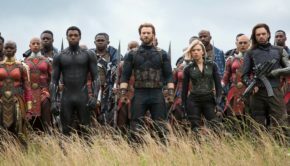 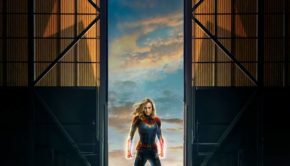 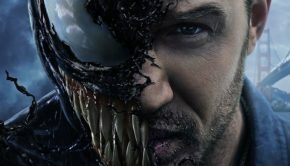 The artwork itself was pretty well done, with seriously badass action poses, rather than watered down childish cartoon art. 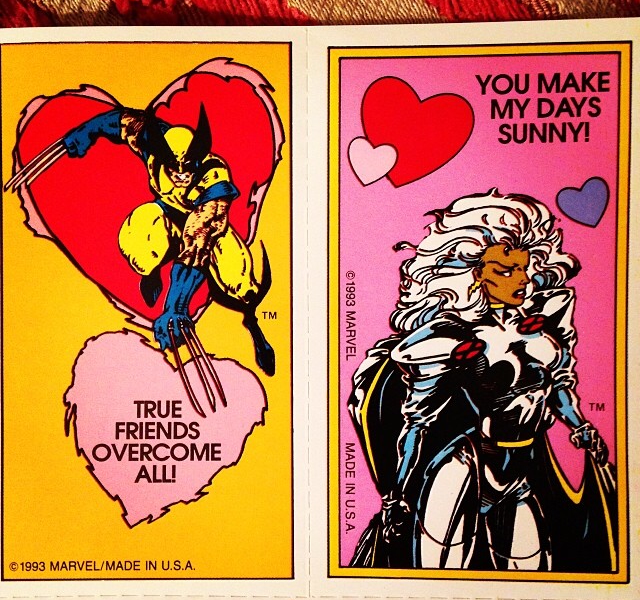 These came out around the time of the popular X-Men Arcade game. 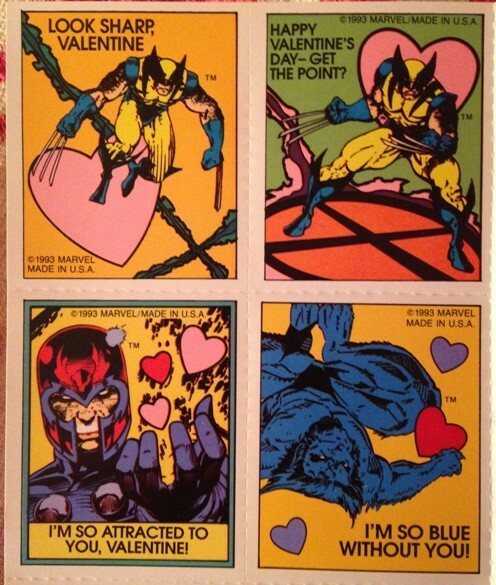 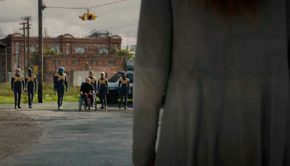 Have a very mutant Valentine’s Day!